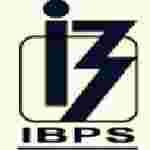 IBPS Probationary officer recruitment 2016-17 notification posts : Institute of banking personnel selection (IBPS) welcomes online applications for the position of 8822 Probationary officer / management trainee in nationalized bank and any other banks or financial institutions, common written examinations will be conducted online by the institute of banking personnel selections (IBPS) tentatively in October / November 2016 vacancies. Candidates who completed their Degree, Graduation is a good opportunity.The individuals who are the occupation seekers searching for govt employments in India this is the best chance to apply. Competitors read the official notification then read all the guidelines and miners precisely then apply before the last date online application got. All the interested and eligible candidates can apply online before 13th August 2016. Candidates Age Limit: The age of the candidate should be minimum 20 years and should be maximum 30 years. The applicant should have been born not earlier than 2nd July 1986 and not later than 1st July 1996 (Both dates inclusive). The age of the applicant should be as on 1st July 2016. Academic qualification details: Candidates should have degree (Graduation) in any discipline from a university by the government of India or any equivalent qualification recognized as such by the Central government. Details of Fee particulars: All the interested and eligible candidates are need to pay application fee Rs 100/- for schedule caste categories candidates (SC) / schedule tribe categories candidates (ST) / person with disabilities categories candidates (PWD) and Rs 600/- for all other categories candidates. The payment can be made by using debit cards / credit cards / internet banking / IMPS / cash cards / mobile wallets by providing information as asked on the screen. Official website: All the interested and eligible candidates can apply online through official website of Institute of banking personnel selection (IBPS) http://www.ibps.in from 26th July 2016 to 13th August 2016. Important Dates: All the interested and eligible candidates can apply online before 13th August 2016.